Synopsis: In a story that could change your perception over what constitutes a “vampire” (though the story actually contains none), 17-year-old David Taylor is thrust into the world of the Fempiror when he disobeys a decree against being out at night to be with his beloved, Beth. Now, he is forced to follow a new set of laws – to protect humanity from the dark side of the Fempiror race. 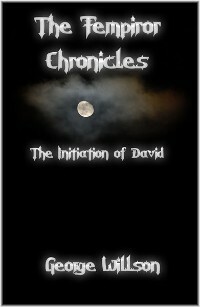 Unfortunately, their laws prohibit him from seeing Beth again – a rule David is not interested in keeping. As David encounters advanced technologies of the Fempiror society, learns of their mission, and understands the very real danger he poses to humanity, he begins to second guess his desire to return to Beth. But when that opportunity arises, he disobeys and changes his life and the lives of everyone he loves. 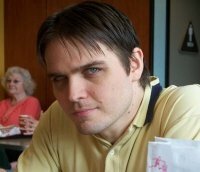 Writer Bio: George Willson has written books, plays, musicals, and screenplays, and he adapted three of the Fempiror Chronicles screenplays into novels. He produced and directed a low budget feature film. He writes music and sings as well as playing piano and almost a dozen other instruments and has two produced albums. He lives in Broken Arrow, Ok with his wife and three princesses.